Faculty Staff Fitness Coordinator Rochelle Schwab teaches a kickboxing class. Juggling a job and family can sometimes make activities like working out seem like a chore. 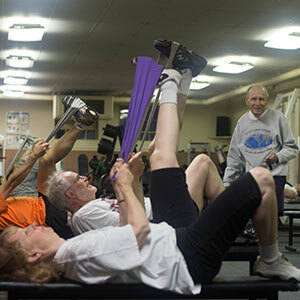 But Oregon State University’s one-of-a-kind Faculty Staff Fitness program makes working out fun – and convenient – for everyone. Housed in the College of Public Health and Human Sciences, the Faculty Staff Fitness (FSF) program is celebrating 30 years of improving fitness and health by providing a variety of workout classes in a welcoming and inspiring environment. “I think through shaping a positive environment for physical activity for everyone, we can truly have a bigger impact on all involved in our community,” says Director of FSF and Physical Activity Course Programs Drew Ibarra. Open to current or retired faculty and staff, graduate students and their spouses or partners, the FSF program offers a variety of classes ranging from aquatics to Zumba. With strong fitness roots dating back to the early ’80s, the program has grown from a handful of classes to now more than 30 types of activity courses serving nearly 600 participants. By offering a variety of class times – before work, during lunch and after work – program leaders hope to encourage health and make working out accessible for all. The Faculty Staff Fitness Program will host its annual TRY-Athlon June 6. Uniquely positioned in an academic college of public health, FSF looks to move the program into the future by potentially endowing a leadership position to ensure the success of the program and its participants, and expanding the program’s services beyond fitness and exercise. “While physical activity has great benefits for the whole of an individual, we need to spend more time on the other aspects that allow an individual to flourish in their lives such as mental, social and emotional well-being,” Drew says. 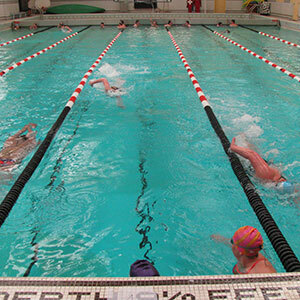 The program will host its annual TRY-Athlon on June 6, where FSF participants can create a team to swim, run and bike around campus in a unique twist on a typical triathlon. “The TRY-Athlon was created to bring unity between colleges, staff, faculty and students and to promote health in a way that shows individuals that it does not take long to be healthy – only about 20 minutes a day,” says Faculty Staff Fitness Coordinator Rochelle Schwab. 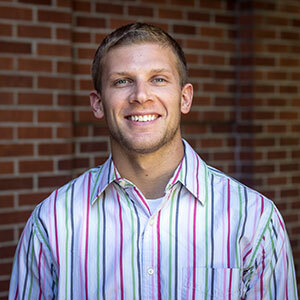 And new this year, FSF is partnering with the college’s nutrition faculty to provide nutrition consultations for faculty and staff members, and is planning a Homecoming run for the campus and Corvallis communities. 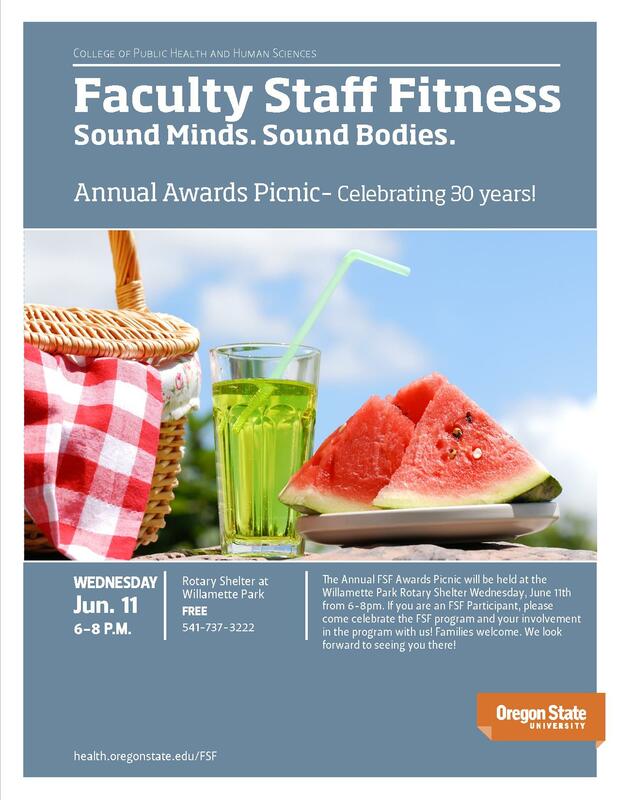 In celebration of its 30th anniversary, FSF will also host a barbeque and award ceremony for instructors and participants from 6-8 p.m. Wednesday, June 11. FSF Founder Bill Winkler teaches circuit weight training. Although FSF is looking to the future, Drew says its history is what has shaped the program’s success. Many participants are going on 20-plus years in the program, and with Drew recently taking on the director position, the program has only seen three directors in 30 years – all of whom still teach and/or take on leadership roles in FSF.